You don't have to be interested in sports to know the Super Bowl is a big deal. As a premier event, not only does it draw thousands of football fans, if you're the sort to have a private jet, the Super Bowl is a the perfect excuse to bring the family or important clients on a fun little trip - last year's Super Bowl brought 1,630 private aircraft to the Twin Cities. JetTip's arrival/departure board at ATL is free through Monday, and will highlight the unusual-to-ATL flights from the major airlines and charter operators. The New England Patriots are well-known in aviation circles for having a pair of 767-300's. N36NE, pictured above, has full Patriots graphics. Sister aircraft N225NE has the same livery, though lacks the logo, tail, and title decals. Expect both aircraft to make a few flights through Atlanta before and after the game to bring staff, families, etc. down for the game. Both aircraft are a bit iffy on the commercial flight trackers - they have generated smart flight alerts from JetTip before, but don't count on it; in my experience, they show up as unlabeled 767's in FlightRadar24, and don't show at all on FlightAware. If you're listening to your scanner, they fly with "Underdog" callsigns. The players arrived on Sunday (1/27) flying as UDG344 on N36NE, but expect another visit or two from the Pats fleet as they bring additional people down. 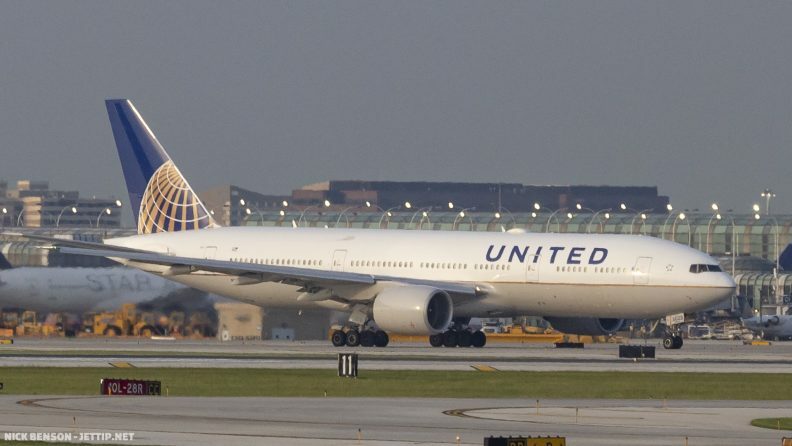 The Rams have been flying United this season, mostly on 767-400's, but arrived in Atlanta on an almost brand-new American 787-9, N840AN on Sunday (1/27). Each team can be expected to send several plane-loads of people to town - perhaps it'll be an opportunity to see some more unusual American metal at ATL? Many airlines have announced additional flights and up-gauging in order to meet passenger demands at Atlanta, which will result in a few good avgeek opportunities to shoot unusual-to-ATL aircraft there. United, which doesn't typically operate anything larger than a handful of daily A320's at ATL, has pretty ambitious plans, including a plethora of additional flights operated by 777-200's and 757-300's, and will therefore have the most interesting variety of oddballs at ATL insofar as the domestic carriers go. Delta, Southwest and JetBlue are also increasing capacity, though not in ways generally interesting to a spotter; I haven't seen anything about American, other than their flights transporting the Rams. The Thunderbirds will be performing their flyover out of Dobbins Air Reserve Base, and are scheduled to arrive on Friday (2/1) at 3:00 PM, and will be performing the flyover at the beginning of the game. Expect a few media flights (taking a TV personality on a flight) between Friday and Sunday. HZ-SKY2, an A330-200 Prestige operating for a charter company out of Saudi Arabia, is a regular visitor at high profile sporting events. There will be more than a thousand private aircraft flying into the Atlanta area this weekend; expect everything from private pilots in small aircraft to corporate jets to wide-bodies. 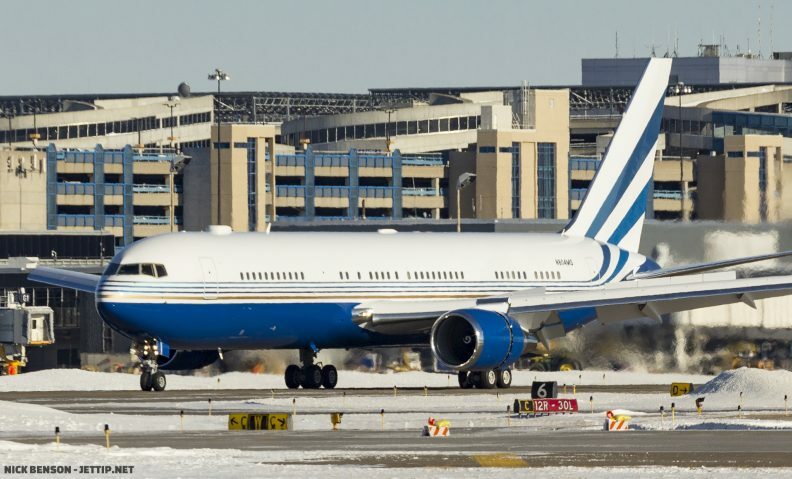 Sheldon Adelson's Las Vegas Sands Corporation sent several private aircraft to last year's Super Bowl, including their 767-300 and one of their 737's. JetTip's arrival/departure board at ATL is free through Monday, and will highlight the unusual-to-ATL flights from the major airlines and charter operators; if you're interested in seeing the aircraft blocked by the commercial trackers (which many private aircraft are), most of them will pop up on the ADS-B Exchange and OpenSky.